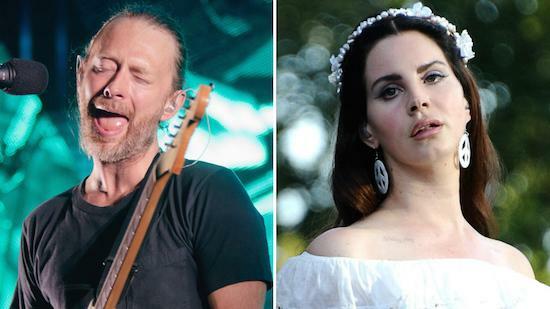 Radiohead are reportedly suing Lana Del Rey over 'Get Free', the closing track on her latest album, Lust For Life. Del Rey has now confirmed rumours of the lawsuit via Twitter, writing: "It's true about the lawsuit. Although I know my song wasn't inspired by 'Creep', Radiohead feel it was and want 100% of the publishing - I offered up to 40 over the last few months but they will only accept 100. Their lawyers have been relentless, so we will deal with it in court." As the BBC reports, musician Owen Pallett has suggested that Radiohead's allegations are most likely to be based on the chord progression in the song's respective verses. However, he noted, the case might not be the result of "Radiohead sitting around feeling annoyed about a stolen chord progression, this just might be their lawyers being lawyers." Radiohead themselves were successfully sued in the past by The Hollies over 'Creep''s similarities to their track 'The Air That I Breathe'.